2018 has been an important year for global gaming industry, which welcomed various important developments at an international level. 2018 has been an important year for global gaming industry, which welcomed various important developments at an international level. From the creation of new regulated markets, such as that of Africa or betting in the United States or of online segments in Colombia, Switzerland and Sweden. Thus generating new “appetites” for international companies and new challenges for regulators. But it was also a particularly significant year (and of challenges too) for Clarion Gaming and its “Ice”: the international fair representing the event for the entire world industry. Gioco News talks about it with Kate Chambers, Managing Director of the company. Ice brand crossed the borders and found a space on other continents. What was your feedback? Can you take stock of this activity? “2018 represented the first time the brand had travelled outside of the UK and the response to Ice Africa, which was launched in October, was fantastic. 1,579 visitors from 79 countries, including 23 African nations, attended the two day learning and senior-level networking event, figures that exceeded our first year projections. Our vision was to create a showcase event that Africa could be proud of and one to provide a focal point for the development of socially responsible gaming economies throughout the continent. With 66 percent of the attendance drawn from Africa, I believe that we went some way to fulfilling that aspiration. Following the US Supreme Court ruling, we have also launched Ice North America, which will be held across May 13-15 in Boston MA, USA. Ice North America will serve as a stakeholder meeting place and provide the opportunity for brands to establish a competitive advantage in what is a tremendously dynamic market. What we’ve witnessed and experienced is the power of the Ice brand, which has become a hallmark for trust and professionalism across all of the verticals in the gaming space and which gives us the opportunity to launch into different parts of the world working with industry stakeholders”. What can visitors expect from this edition of Ice London? “Visitors attending Ice London will have direct access to 612 exhibitor brands from 66 countries. The net floor space has grown from the 2018 figure of 43,500sqm to 45,500sqm, an increase of just under 5 percent. This is part of a trend which stretches back to 2012, when the show floor comprised 22,500sqm. Since then, Ice London has grown year-on-year and is now more than twIce its 2012 size. 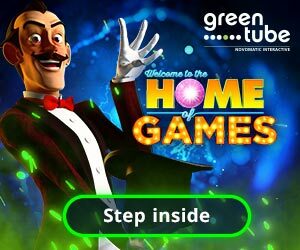 I think the real attraction for visitors is the guarantee that, when they attend Ice London, they will see all of the smartest innovators in world gaming showing products and servIces that harness the latest advances in technology. As well as meeting with the industry’s key innovators, visitors can also participate in gaming’s most creative learning programme, Ice Vox Conferences”. What are the main subjects of this edition and the objectives? 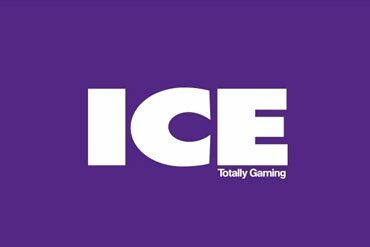 “For some time now, industry observers have described Ice London as being a gaming technology event and I think that description is accurate. This industry is driven and powered by technology and the best exponents of this are the exhibitors, the innovators and the creators from every gaming vertical and who participate in Ice London. Our objective is to deliver a complete experience and Ice Vox Conferences is certainly part of that strategy. Ice Vox will feature 120 high profile, tier-one thought leaders delivering 40+ hours of business-centric content. We are using four branded areas that deliver a new kind of immersive learning experience. The seven-track programme comprises the International Casino Conference, Modernising Lotteries, WrB, Advertising & Marketing, Cybercrime & Security, Artificial Intelligence and Esports”. What are the next challenges and objectives for Ice London for the next and immediate future? “When you look out across the halls before the doors open at ExCeL London and you feel the energy and anticipation of 600+ brands, it’s impossible not to be excited by what’s in store over the next three days. The key challenge for myself and the team is to maintain that sense of excitement, which we do by bringing together the leading innovators from throughout the world. It means ensuring that we continue to deliver an exceptional customer experience, that we always work in partnership with the industry and that we continue to invest in the brand with fresh and original thinking. It’s about doing the simple things brilliantly and not being afraid of challenging convention”. What contribution does Italy offer to Ice London in terms of exhibitors and visitors? “Ice London’s major Usp is its ability to attract buyers from throughout the world. In 2018, visitors from 153 nations made the journey to be with us in London and, within that,Italy was the seventh most represented nation (outside of the UK) with 910 visitors. The Ice brand continues to enjoy a very close relationship with the Italian industry, not least with our good friends and colleagues from the Italian gaming media whose support we value greatly”.